Taking advantage of photonics, we aim to develop small, safe and long-lasting neurostimulators. We are pioneering optoelectronics for neurostimulation medical devices by developing innovations to provide a powerful and versatile neurostimulation technological platform. Products derived from this platform would include a small non metallic encapsulation, wireless fast charging, custom optical lead, photovoltaic cells and an enhanced electrode. This technology could benefit numerous therapeutic applications (such as drug-resistant epilepsy, sleep apnea or depression). For the last couple of months the Accenture Innovation Awards (AIA) has brought us on a journey. Hereby we are proud to announce that our recent work has made it to the Top 25 Health innovators in the AIA competition! 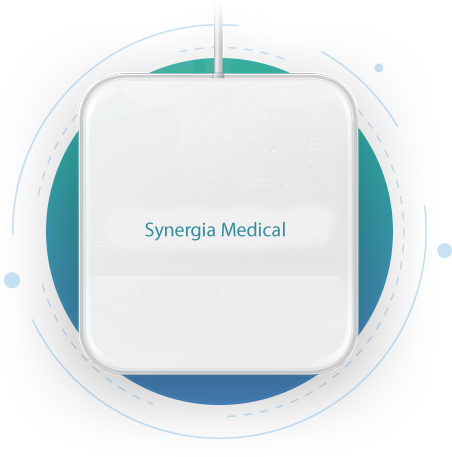 Reinhard joined the Board of Synergia Medical as non-executive director with a great experience in international neurostimulation industry.